On April 9th, Israelis will vote to appoint the 21st Knesset. This election, probably one of the most important for a long time, will determine the future of the country, far beyond the next four years. 1.The voter turnout. Israel is a country where the abstention rate is generally low. In 2015 elections, the voter turnout reached 72,3%; but if we take into account the large Israeli diaspora (about 500000 people), it amounted approximately to 80%, not far from the voter turnout obtained in the first elections of the country (about 85%). What will it be this time ? In 2015, the last polls being bad for the Likud, Netanyahu had broadcasted at the last minute a message on TV, pretending that Leftist NGO’s had rented buses to collect Arab voters and drive them to the polling places ! That call had resulted in a higher participation of voters during the last hours of the day, and was probably the decisive element that allowed the Likud to get a confortable enough majority to build a coalition that remained somewhat stable during the whole mandate. Facing the last polls we mentioned earlier, Netanyahu started calling the Right-wing voters to come and vote in order to put the Likud in the lead. But that maneuver is dangerous since it means siphoning off the votes of the other lists from the right, which might go under the minimum threshold (set at 3,25% of the votes, equal to 4 deputees) which would undermine the Right-wing Bloc. 2.The vote of Arab electors. Arab electors generally vote less than Jewish electors. If they vote in the same proportion as Jews, they could send about twenty deputies to the Knesset. In 2015, the four “Arab” lists had worked up a common list, which allowed them to obtain 13 deputees. The voter turnout of Arab electors had been 63,5%. This year, two Arab lists are in competition, and one of them (Balad – UAL) might be unable to cross the threshold. If the voter turnout is low, it will be for the benefit of the Likud. 3.The number of lists crossing the minimum threshold. About fourty lists are running for elections, which is some kind of record. According to polls, only a dozen of them will cross that threshold. The Likud and the Blue-White list would share about 60 deputies. It leaves about sixty seats to other lists, and gives them a power that seems out of proportion, compared to what they actually represent. It is thus difficult to rely on polls, since most electors could decide at the last minute to give up voting for the list they had previously chosen, for fear of losing their ballot in case that list does not cross the threshhold. In that case, how would they transfer their votes ? 4. The vote of the Likud electors. Following the ” affairs” Netanyahu has been involved in, some of his traditional electors could wish for a change. 5. Netanyahu’s image and Gantz’s image. Most electors vote according to the head of the list, and few of them know the candidates beyond the five or ten first ones (for big lists). 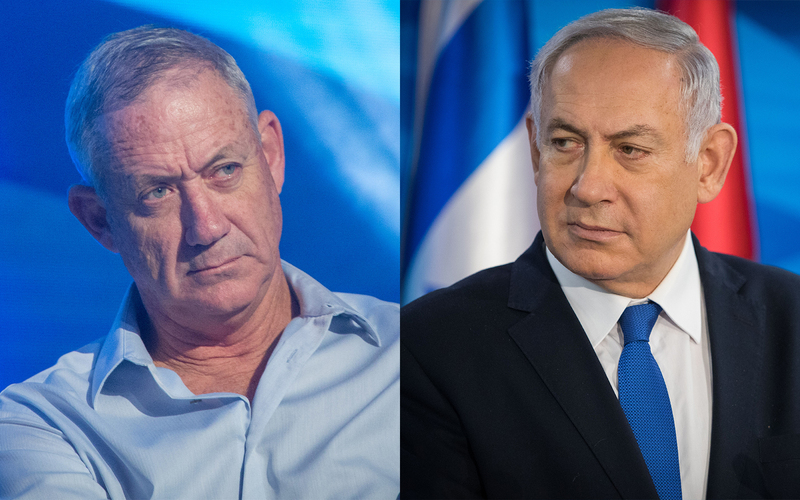 Even though the Israeli system is not a presidential one, there is in Israel a vibrant public debate about Gantz”s capacity to convince a majority of electors that he is as able as Benyamin Netanyahu to lead the country. For the first time in years, a candidate representing the liberal center is competing with the Likud’s “Mr Security”. 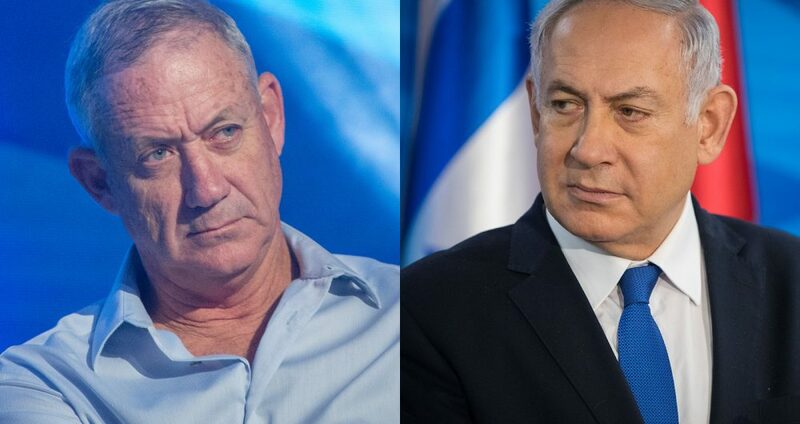 Ex-IDF Chief of Staff, surrounded by two ex-chiefs of staff (one of them being an ex-Defense Minister of Netanyahu), Benny Gantz cannot be put at fault on security matters. This why Netanyahu does not challenge him on that ground. However he has insidiously mounted these last two months a campaign of personal attacks, describing him like a man who is unable to stand pressure, questioning his integrity, and even his psychological balance… This hate campaign, based mostly on fake news, has forced Gantz to defend himself instead of developing his program. On the other hand, Netanyahu’s men never ceased to highlight his international image, insisting on the support given to him by the most important leaders of the planet: first of all, Trump who offered him the U.S. recognition of the Israeli sovereignty over the Golan, after having transfered last year the American embassy to Jerusalem; then Bolsonaro, the new President of Brazil, who came to Israel on an official visit two weeks before the elections and who has been the first sitting head of State to go to the Western Wall with the Prime Minister; and finally Poutine,whose army helped the Israelis to find the grave, in Syria, of a soldier dead in 1982, during the fist war of Lebanon; this soldier’s remains have been returned five days before the elections. 6. The name of the leading list, and the gap with the second list. According to the law, President Rivlin must ask one member of the newly elected Knesset to build a coalition. Except for the 2009 elections, when Tzipi Livni, even though she had obtained the best score with Kadima, had been unable to build a coalition, all Prime Ministers have been so far the leaders of the winning list. If the Blue-White list wins with an advance of 3 or 4 mandates over the Likud, Gantz will he be able to attract lists that traditionally ally themselves with the right, like Kulanu (a centrist list socially oriented), or one of the orthodox lists ? It could be an option, since a government led by the Likud might have to go back to the polls earlier than expected, in case of a predictable indictment of Netanyahu. In conclusion, we may expect surprises till the last minute—and even after that, during the necessary negotiations to build a coalition. If the Right-wing Bloc acquires a large majority, it would make sense that Netanyahu, who has surely negotiated already with his future allies the conditions of their rallying, would be in favor of a coalition of the right. However, his main purpose being to avoid an indictment, he will undoubtedly have ensured their support in order to escape being brought to justice. But this is not the only scenario. The possibility of a coalition between the Likud and the Blue-White list is far from unlikely, especially if the last one gets ahead of the Likud. Such a scenario would advantage Netanyahu by sparing him from being too dependent on the right-wing extremists, whose ideologies shock people, even within the Likud. As for Gantz, such a broader coalition (especially if his list was leading, which would ensure him the post of Prime Minister) would allow him to get the political experience he does not have yet, and would strengthen his image for the future. In any case, Israel will continue after April 9th to face issues which are essential for its future, and first of all the issue of occupation. Issues missing in an electoral campaign that has been mostly a referendum: “For or Against Bibi”.